Traditional image mosaicing uses a sequence of images of a scene captured by a moving camera. Generalized mosaicing is a simple and effective method for extracting additional information at each scene point. The key observation is that as a camera moves, it senses each scene point multiple times. 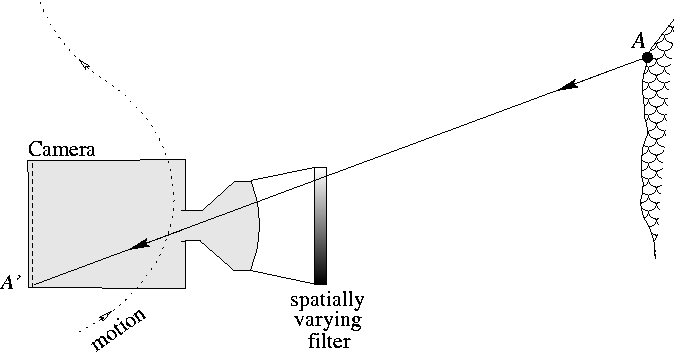 We rigidly attach to the camera (either in front or behind the imaging lens) an optical filter with spatially varying properties. When this imaging system moves, each scene point is measured multiple times but under different optical settings. Fusing the data captured in the multiple images yields an image mosaic that includes additional information about the scene. This information can come in the form of extended dynamic range, high spectral quality, polarization, focus/distance sensing or enhancements to other dimensions of imaging. Vol. 27, No. 4, pp. 631-636, Apr. 2005. "Generalized Mosaicing: High Dynamic Range in a Wide Field of View,"
Vol. 53, No. 3, pp. 245-267, Jul. 2003. "Generalized Mosaicing: Wide Field of View Multispectral Imaging,"
Vol. 24, No. 10, pp. 1334-1348, Oct. 2002. Vol. 1, pp. 17-24, Jul. 2001. 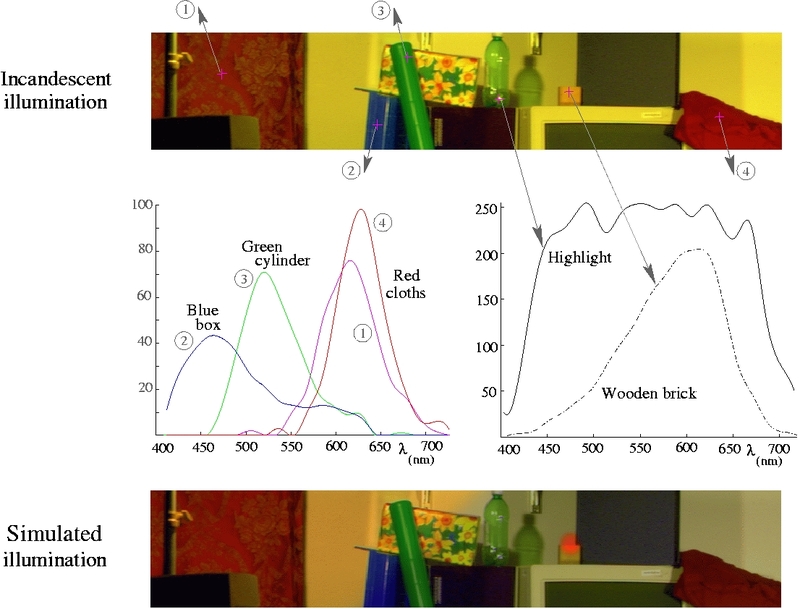 A spatially varying optical filter is rigidly attached to the camera. The filter can be attached either in front of or behind the imaging lens. As the camera moves, each scene point is seen through the filter under different optical settings. This allows one to reduce the redundancy that is inherent to traditional mosaicing and improve the resolution of the image along various imaging dimensions. This picture shows the HDR mosaic computed using the captured 8-bit video sequence. While the original video has only 256 brightness levels, the computed mosaic has very high dynamic range as shown by the inset images. This filter was attached to the camera to capture a multispectral mosaic. This picture shows the multispectral mosaic computed using the above video stream. The continuous spectral distribution of each point in the scene is computed. 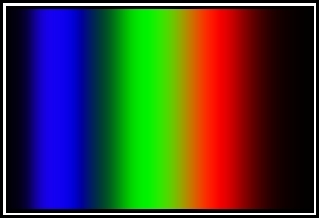 The multispectral mosaic can be used with a new illumination spectrum to compute a relit mosaic, as shown at the bottom. This video was captured by attaching a spatially varying neutral density filter to the camera and rotating the camera. This video shows the raw 8-bit image sequence captured using the linear interference filter and a black and white camera. This video was captured using an optical filter with spatially varying polarization angle. The video can be used to compute the percentage and angle of polarization for each scene point. This information in turn can be used to detect materials and remove specularities (see publications for details). This video was acquired by attaching a wedge-shaped optical block between the imaging lens and the image detector. The resulting imaging system has a spatially varying focal distance. As seen in the video, as the camera moves, each scene point varies in terms of its focus quality depending on its depth. The video is used to compute an all-focused mosaic and a depth map of the scene (see publications for details).